120 Count - Towel Size: 9"x11" Towel is smooth on both sides, and has special qualities that grab on to the soils and holds it, resulting in no smearing back on your hands or surface. 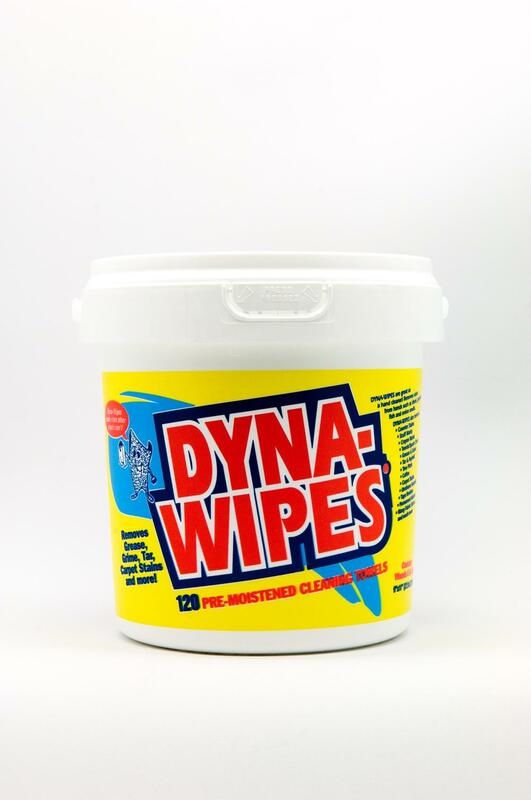 Dyna-Wipes work when other wipes won't! Cleans all types of stains and orders from hands--including diesel, gasoline, fish and onion smells. Removes: Caulking, Permanent Marker, Tree Pitch, Scuff Marks, Labels & Residue, Pipe Cement, Urethane Sealants, Gasket Cement, Paints & Varnisher and much more!